Working from home is becoming more and more popular. It has many advantages but it is not without its challenges too. 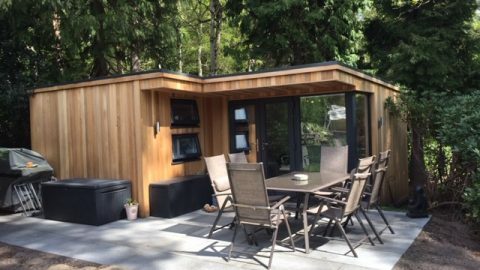 More and more freelancers, business owners and remote workers are installing modern garden rooms as dedicated workspaces in their garden. We take a look at three of the many great reasons behind this growing trend. 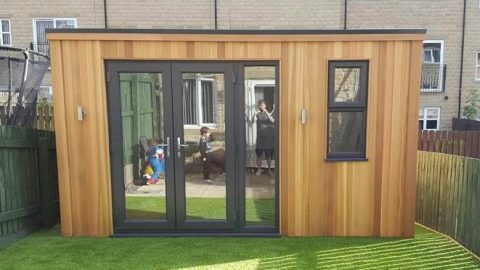 Childrens play room – Once your work for the day is done, having part of the garden room as a children’s play area is a great idea for somewhere children can play independently but securely in the garden. It’s also a great place to let them sleep out in complete safety. Cinema room – Simply adding a projector can turn it into a fantastic home cinema room. Bring the magic of the movies into your own home. Bedroom – Got extra guests coming over? 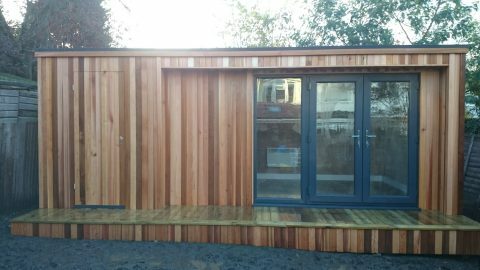 Not a problem now, as you now have what can easily and quickly be transformed into an extra bedroom. How much time do you spend commuting to and from work? Imagine how much more productive you would be if that time could be spent working. Whether you travel on a crowded train or drive, the time spent travelling is not productive. 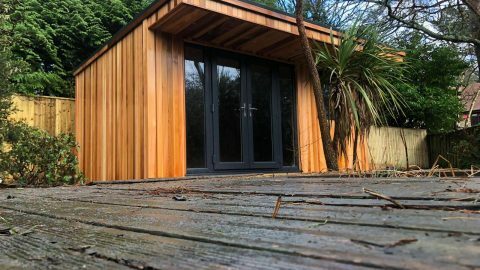 Simply getting up, having your breakfast and strolling to your garden office is a much better way of starting the day, giving you not just more time, but helping you start the day in a much better frame of mind too. 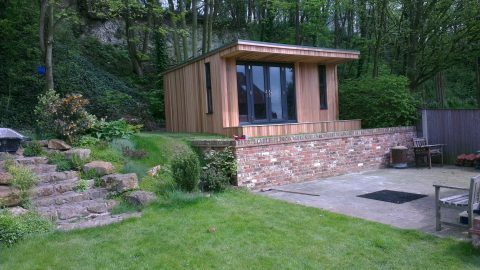 A garden office is secluded too. 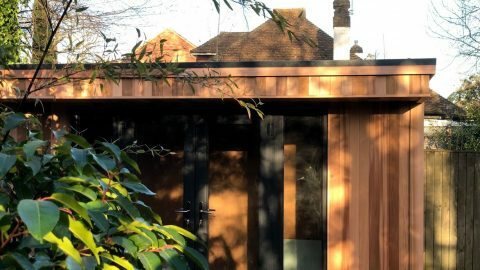 Away from the hustle and bustle of a busy office (and the family), you can get on with so much more work whilst you listen to the birds singing in the trees or your favourite radio station. Missing the interaction with your colleagues isn’t even an issue any longer, with Skype and other ways of communicating instantly. 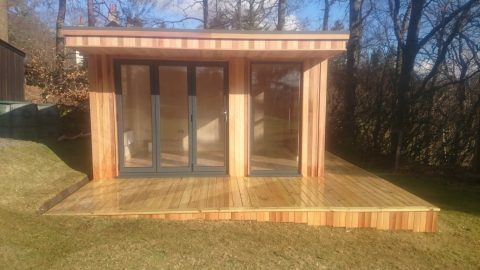 One of the big draws of purchasing a garden office is just how cost-effective they are. Often with no more daily commute, as well as the huge amount of money saved in fuel and general wear and tear on your car, many two-car families find that they may now only need one, saving massive amounts in fuel, tax, maintenance and repairs. 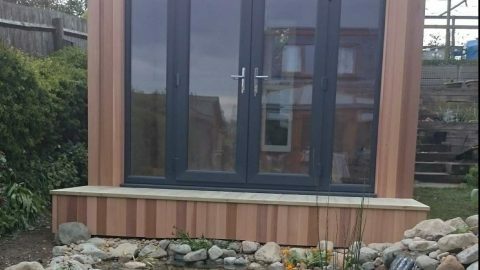 You are also effectively adding another highly flexible room to your house, which will undoubtedly add a substantial amount of value to its valuation. 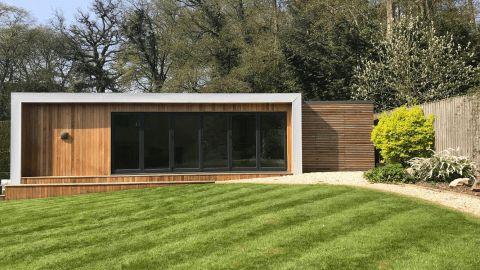 When you take into account this addition in value as well as the huge cost savings, purchasing a modern garden room isn’t actually costing you anything, and is most probably making you money.